As I first reported in a post here two weeks ago, the CEO of this California-based startup – who was slated to be featured during a lightning round on legal innovation at Legaltech West Coast – recently agreed to have a $559,330 judgment entered against him to settle a lawsuit charging him with impersonating a lawyer, forging legal documents and fraudulently swindling two clients. After that post appeared, Legaltech and its cosponsor of the innovation round, Stanford’s CodeX Center for Legal Informatics, rescinded Bluford’s invitation to participate in the show, which starts Monday. Imagine my surprise, then, when just this week, Comstock’s, the Sacramento-based business publication, named QuickLegal its Startup of the Month. The piece makes no mention of Bluford’s or QuickLegal’s legal troubles, instead describing Bluford as someone who wants to “help rescue others” from legal problems. My earlier post describes the allegations of the lawsuit in detail so I will not repeat them here. Suffice to say that the allegations tell an outrageous, almost unbelievable, story of a man who used fraud and deceit over 11 months in 2014 to take more than a half-million dollars from an unsuspecting couple who believed he was a lawyer looking out for their best interests. The complaint alleges that Bluford pretended to be an attorney, manufactured “official” court and government documents, including court orders signed by a fictitious judge, and fabricated legal claims and court hearings, extracting more and more money from the plaintiffs at every step along the way. 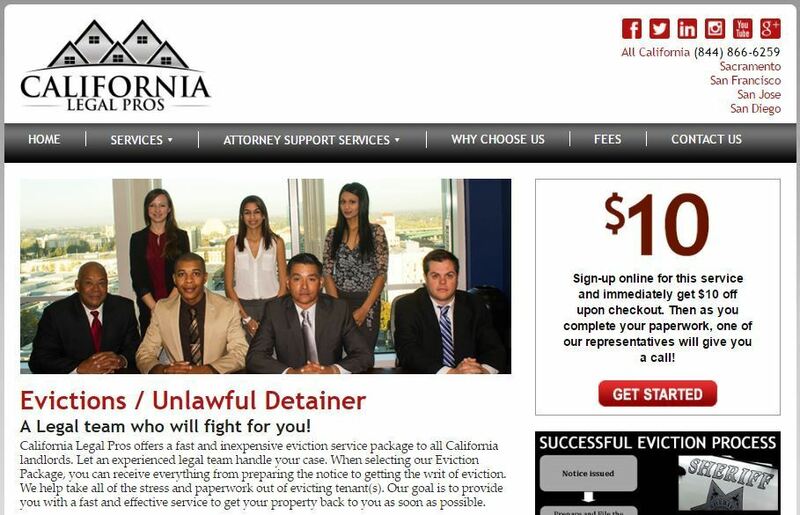 The complaint alleges that much of this was done through a prior company Bluford started, California Legal Pros, which markets various legal services to both consumers and lawyers. and then also through QuickLegal, a service that provides on-demand legal advice to consumers as well as a practice management platform for lawyers. Bluford, with whom I spoke the day after my post first appeared, adamantly denied committing any fraud and claimed that everything alleged in the complaint was done by an employee of his impersonating him. He sent me a police report that he said substantiated his version of events. But the report, while it did involve a former employee who allegedly broke into QuickLegal’s office, had nothing in it pertaining to the events described in the lawsuit or any explicit connection to those events. Bluford told me he would arrange a follow-up call with him and his attorney to present me with further documentation. I contacted him this week about that and he said that he had requested the full police reports and case information be forwarded to me. I’ve received nothing. The Comstock’s article said that, as of May 1, 800 attorneys had registered for QuickLegal and that the company was generating revenue of about $150,000 a month. Sorting out facts from allegations in this case is difficult. As I mentioned in a prior post, Bluford told me that the attorney for the plaintiffs in the fraud lawsuit would vouch for his version of the events. But when I contacted that attorney, he gave me only a short and somewhat cryptic statement. That leaves only court records to go on and, other than the detailed allegations set out in the complaint (which includes copies of the allegedly forged and manufactured documents described in the complaint), the record is somewhat sparse. In his answer to the complaint, Bluford gave only a general denial of all allegations without specifically addressing any of them. He also asserted various affirmative defenses, including that any losses the plaintiffs suffered were due to their own negligence. Bluford also filed responses to plaintiffs’ requests for discovery in the case. In them, however, he declined to answer even a single question “on the grounds that his response may tend to incriminate him.” Plaintiffs served on Bluford both a request for production of documents and a set of interrogatories. In his responses to both, he consistently asserted his privilege against self-incrimination. QuickLegal responses to discovery were equally uninformative in fleshing out the facts. It simply asserted over and over again that it had no knowledge of any of the events alleged in the complaint. As I said in my prior post, the significance of this relates back to the fact that lawyers have an ethical duty to exercise reasonable care when selecting a product or service that relates to confidential client matters. The allegations in this case were that Bluford not only took money fraudulently, but that he then put his businesses at risk by depositing that money in the business’s bank accounts. If a lawyer was using one of those businesses, the lawyers’ own matters stored with that company could potentially be at risk. The bottom line for lawyers is to do your due diligence when hiring a vendor or selecting technology. Before entrusting client records to a third party, do your homework.